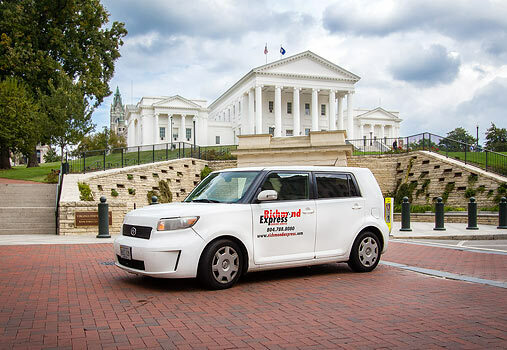 As Central Virginia's leading courier, we can deliver any size package anywhere in the country with our efficiently managed fleet of cars, four wheel drives, vans and trucks. Urgent pick up and delivery of medical specimens, instruments or files can sometimes mean the difference between life and death. Let us show you how a well trained team of couriers can handle any emergency situation. Service to Richmond and Beyond! Don't let the name fool you - we can efficiently deliver your parcel to any U.S. destination --- just call us today!